Couple of years ago we added a shower stall for a bathroom in our home, and we find having a shower stall is more useful for our family. We built a barrier that gives us the option of being able to fill the shower stall with water. 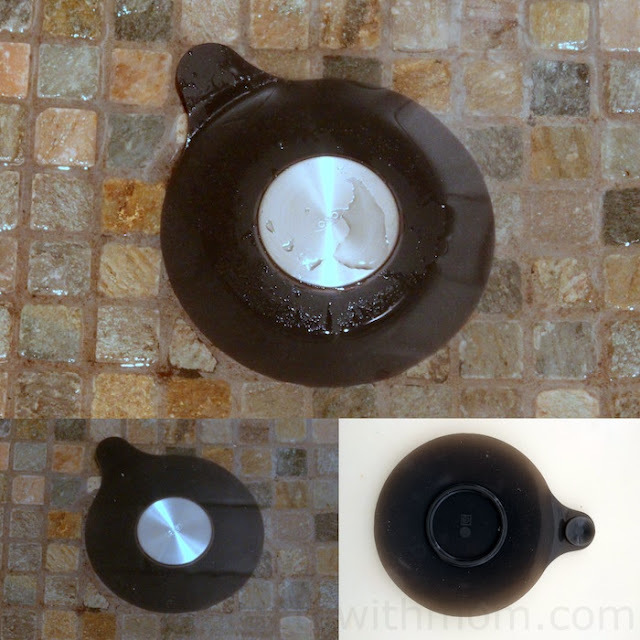 I found this OXO 5" silicone tub stopper allows us to effectively seal the drain to fill the shower stall with water if we want. 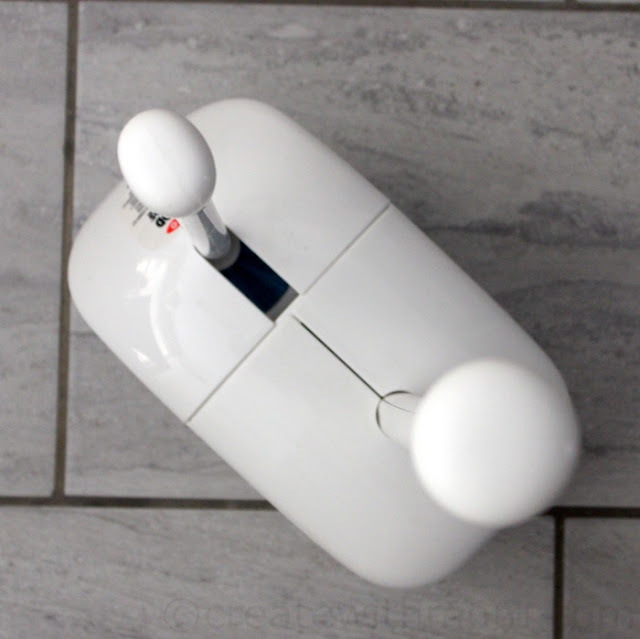 The suction cup secures the stopper to the floor when we use it. I like that when we are not using the stopper, we can use the suction cup to store it upright. For regular, day-to-day use I find having the OXO 5" domed shaped stainless steel silicone shower/ tub drain protector is useful, as it catches hair without blocking the water drainage. 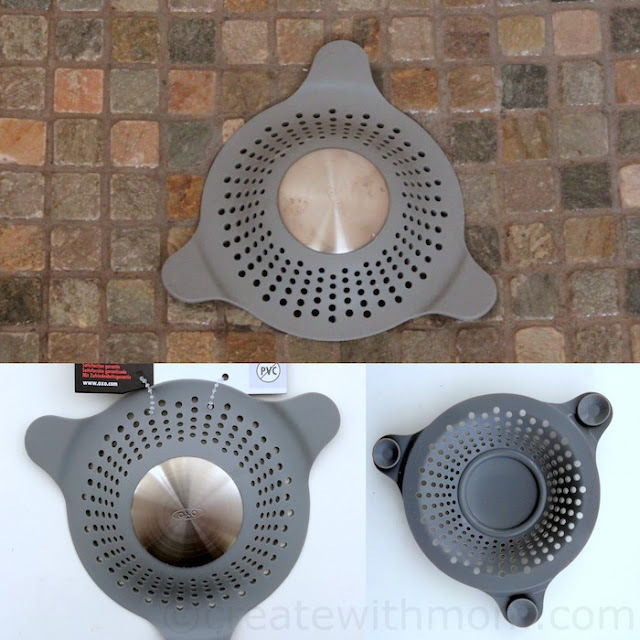 The three suction cups keep the drain protector secure on both flat and pop-up drain. Every toilet needs a toilet brush and a plunger, so having one in every washroom is useful and convenient. 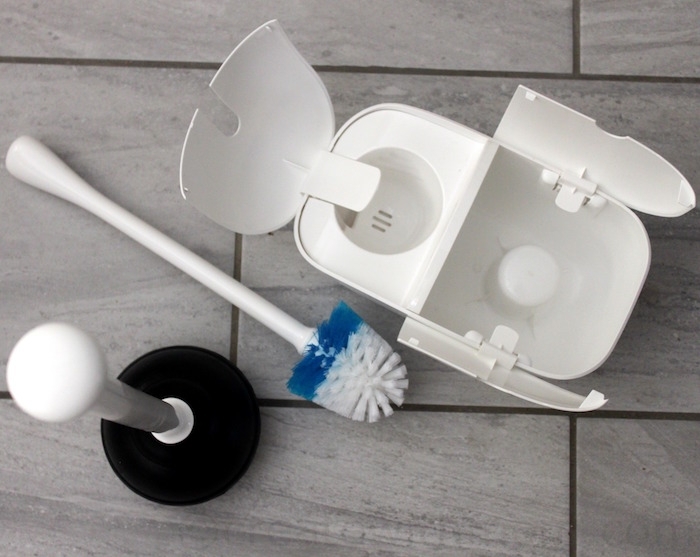 I like this combo Toilet Brush and Plunger from OXO that measures 10.5 x 6 x 21.5" because it is a neat, discreet, and a convenient, compact way to store both these essential items. 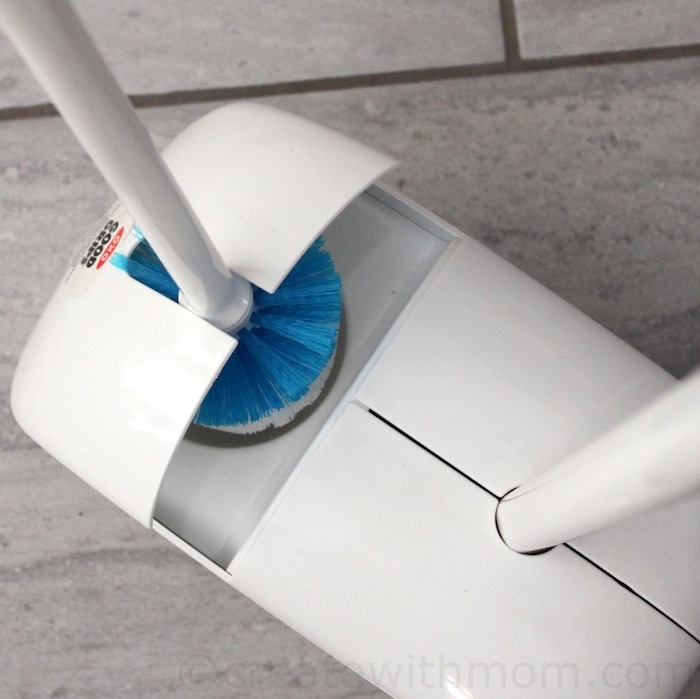 When we use it, I find the contoured handles give a secure, comfortable grip. I like that the canister doors pop open when the brush or plunger are removed, and stays open until we place the brush or plunger back into the canister, which then automatically closes. 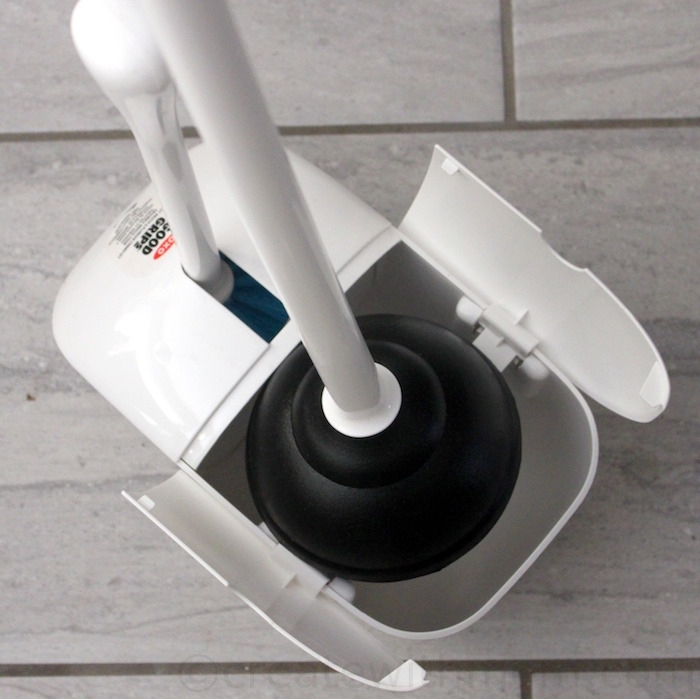 The brush features a tapered head with durable bristles for thorough cleaning and the plunger works on all toilets, including low-flow. These OXO products can be purchased at Home Improvement stores in Canada and USA. I just love this combo and in a holder perfect. ohh,I have never heard of this brand before,,but looks like awesome products! Oh I really love that combo Toilet Brush and Plunger from OXO !!!! Love how its hidden away! . This looks great! So much better than what we have. Thanks, I will have to look for the drain protector, I hate having to clean hair out of the drain! Gross! Thanks very much for this gr8 info, love the discreet combo set, in a holder too, we definitely need one of these! Great Oxo products. We have a lot of them around our home. All very useful and comfortable to use to. I didn't know that OXO made bathroom products....definitely keeping an eye open for that Toilet Brush and Plunger combo. That's a genius product! I love the quality of Oxo products. I had never heard of the OXO product before. Look like very good products! I've seen Oxo products a few times, never really stopped to take a closer look, guess it's time I do.